blog Those of you who follow such matters will have no doubt noticed that the GovCMS platform which the Department of Finance locked in to place several years ago, based on the Drupal content management system, has been going rather well within the Federal Government. As the project’s underlying supporting vendor Acquia revealed this morning, Federal Government websites are being converted to the new standard platform in droves, and public servants are happy with its openness and levels of interoperability. Now, InnovationAus writer James Riley has had some harsh words to say about GovCMS, labelling it as somewhat of a disaster from the start. Riley is a smart and experienced guy, and so I believe him when he says there is an element of mismanagement about GovCMS. However, I also happen to know that there were some pretty smart minds behind GovCMS — Federal Government CTO John Sheridan being one of its champions. And it also pays to remember that the GovCMS project came about during a period where the Federal Government wasn’t precisely favourable towards technology (can you say “Abbott”), and also during a period before the DTO, with its centralised IT platform wisdom, even existed. In this sense, to my mind the GovCMS platform stands out as one of a very small number of cross-agency IT shared services/standardisation projects that have succeeded within the Federal Government. The new kids on the block may do well to remember that the DTO has only been around for a very short period of time, and could easily be deleted again by a hostile Federal Cabinet during tough budget times. The folks who set up GovCMS paved the way for an agency like the DTO to do great things. And it’s not usually wise within the public sector to criticise a project which — despite many challenges — is succeeding against the odds. Especially when the DTO itself hasn’t yet gotten anything like the scale of GovCMS across the finish line. GovCMS wasn’t just hated by DTO, it was hated by server-huggers across the APS, as it took yet another of their toys away. They were quite happy to be critical or make impossible demands, but it works very well, especially for the small to medium agencies delivering simple or brochureware services. If only it was integrated with an identity solution – and don’t say ‘myGOV’ – what a disaster. Does it work? The DTO’s strategy is for a single site (gov.au) not a proliferation of sites. And since when was consolidation onto a single (outdated) platform ever good for innovation? This govt is supposed to be favouring Australian R&D and Australian innovation. GovCMS is Drupal 7. There is no upgrade path to Drupal 8. Drupal 8 is object based and it requires a complete redevelopment of those ‘new’ sites and all related modules. A search of govt spending with Acquia (an American company which had no market share in Fed Govt before GovCMS) shows over $4m spent in the last 12 months. They are now the biggest competitor in digital for local Australian companies, and Dept of Finance (our own government) introduced them to this market. I wonder how much tax Acquia pays on taxpayer money flowing overseas? Ironic, really, because Acquia just took the aGov drupal code (developed by an Australian company, who paid the price of the R&D), and are flogging it on top of Amazon’s hosting and services – a lot of easy money for an American company! And they have a team of public servants with inside contacts and trust flogging this solution for them (and advertising their jobs for them too, I note). A quick calculation of the 50+ sites shows an average spend with Acquia of over $70,000 per site. So much for cheaper websites. Acquia won’t warrant open source code – everything has to be redeveloped from scratch with their oversight, anyway, breaking the “open source” model anyway. Also a problem as all of the modules developed for Drupal 7 will now have to be redeveloped for Drupal 8. Way to go Dept of Finance, well thought through! Disclaimer: we develop Drupal sites. While we have used Acquia for specific campaign sites in the past, we no longer use them for any services. It’s simply not cost effective for us. Regarding my last point above, it would be great to have managed enterprise Drupal hosting in Australia. I don’t mean just a one-click install on a cloud or VM service, but properly managed with an integrated development workflow. Full disclosure: I’ve worked on some govCMS projects (as a contractor). govCMS is a Drupal 7 distro, based on aGov, Acquia hosting (on Acquia SiteFactory) and a procurement plan – agencies sign an MOU with Finance and can avoid having to go out to tender for web services. Technically, the govCMS distro is a bit of a mess. The version of aGov it was forked from was quite basic and govCMS really hasn’t evolved. Theming is more difficult than it needs to be and the power of Drupal – the flexibility to use custom and contrib modules has been stripped out. All govCMS sites share a single codebase. From a procurement and business point of view, there are also issues. The bulk of the profits are going offshore to Acquia. When an agency approaches Finance to get on govCMS, they are referred to Acquia. Acquia lead the engagement and prime the agency – often with an expensive upfront solution design piece of work – they then appoint a local partner to build deliver the govCMS site. There’s no transparency around how Acquia appoint a partner for specific jobs, the favoured partner (with the cheapest rates) gets the job. Annoy Acquia and you are out in the cold. All developers working for partners must be Acquia certified (another revenue stream). Sure, Finance will say there’s no requirement to use Acquia and agencies can choose their own delivery partner but realistically Acquia own the platform and the process. 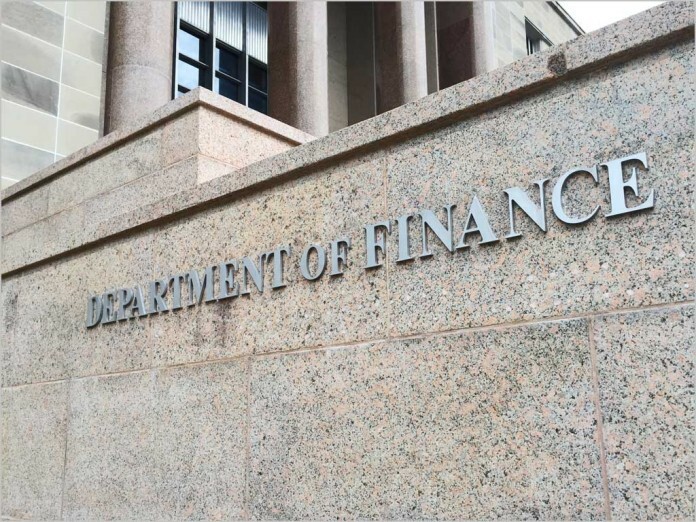 What we’re left with a essentially a monopoly, agencies who would have previously gone through an open tender process are no longer doing so, the Department of Finance is scooping up the work smaller dev shops would have got in the past. All govCMS should have been was a set of guidelines and a panel of accredited providers to choose from. The government shouldn’t be in the business of maintaining a Drupal distribution or acting as a sales channel for an overseas software vendor.